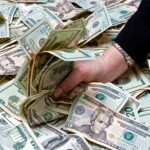 Do you know what one of the most common questions is in relationship to the lottery? If you’re thinking about how to win, you’re not that far off. Players often wonder about the numbers that appear most commonly and the ones that increase their odds of winning. 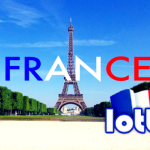 As one of the most prominent lotteries in the world, Powerball tends to arise many such questions. What are the most common US Powerball winning numbers? Can such a strategy be utilized to win more often? Keep on reading to find out. Lottery numbers are divided into two categories – hot and cold. As the names suggest, hot numbers are the ones that often appear among the winning ones, and cold numbers tend to produce prizes much less frequently. Statistically speaking, certain numbers shouldn’t appear more often than others. In real life, they do. This is one of the main reasons why some people have carefully-maintained data logs of drawing combinations, hot numbers and the frequency with which they show up. In the world of Powerball, 12 numbers have appeared among the winning ones much more often than the rest. These 12 US Powerball winning numbers include 32, 64, 23, 16, 28, 52, 40, 61, 62, 33, 63 and 69. 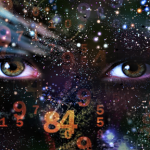 The one that appears first – 32 – is the number that has appeared among the winning digits 75 percent more frequently than all of the other numbers in the pool. As far as the Powerball additional numbers are concerned, there are hot digits there, as well. The Powerball supplementary numerical pool ranges from 1 to 26. The hot numbers among these are 9, 10 and 21. Nine is an incredibly hot number that has ranked among the winning Powerball digits 84 percent more often than all other numbers. Just like certain numbers tend to appear among the winning numbers much more often than others, there are also digits that tend to be pretty lazy. These cold numbers rarely make their appearance among the winning ones. If you believe in such a strategy, you may want to stay away from these cold digits. When the main numbers are being examined, the ones that are drawn most infrequently include 35, 6, 51, 58, 24, 34, 56, 38, 15, 14, 8 and 4. The number 35 is among the unluckiest in the world of Powerball. It appears a third of the time that it should have. There’s no statistical explanation for the phenomenon, but there you go! Powerball numbers that are typically not going to make you a millionaire include 14, 18, 7, 26 and 23. Alternatively, you may want to turn the records on their head and choose precisely these numbers. Who knows, you may be capable of proving that they’re not cursed and that they could produce the next big millionaire. 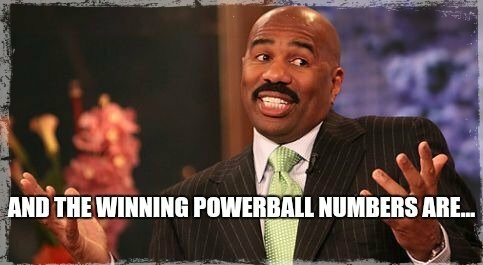 Choosing Your US Powerball Winning Numbers: How to do it? Now that you know which Powerball numbers are hot, you may want to rely on this strategy in an attempt to increase your odds of winning. On top of giving this approach a try, you may also want to incorporate a couple of additional possibilities in your strategy. For a start, it’s a good idea to choose a nice mix of even and odd numbers. It’s very rare for a Powerball drawing to feature solely even or solely odd numbers. This happens only four percent of the time. Going for one or the other isn’t going to do anything for your winning chances. Don’t trust statistical estimates too much. While the report mentioned above suggests that 32 is the hottest Powerball number, an evaluation by LottoNumbers shows that 26 is the hottest one. According to the website, 26 had been drawn 278 times in total. The famous 32 occupies only the fourth position with its 270 times. Thus, you should either go through the Powerball results on your own to determine the hot numbers or you should simply test your luck without going too deep into strategic number selection. Finally, consider giving a random quick pick a try. Many people who have become millionaires don’t rely on their lucky numbers like birthdays and anniversaries. Instead, they get a quick pick Powerball ticket and boom – they are a few million dollars richer. Whichever Powerball number strategy you choose, trust your instincts and go with your gut feeling. Remember that it takes just one ticket to win and regardless of the odds, somebody has to claim the jackpot sooner or later. Who says this person couldn’t be you?